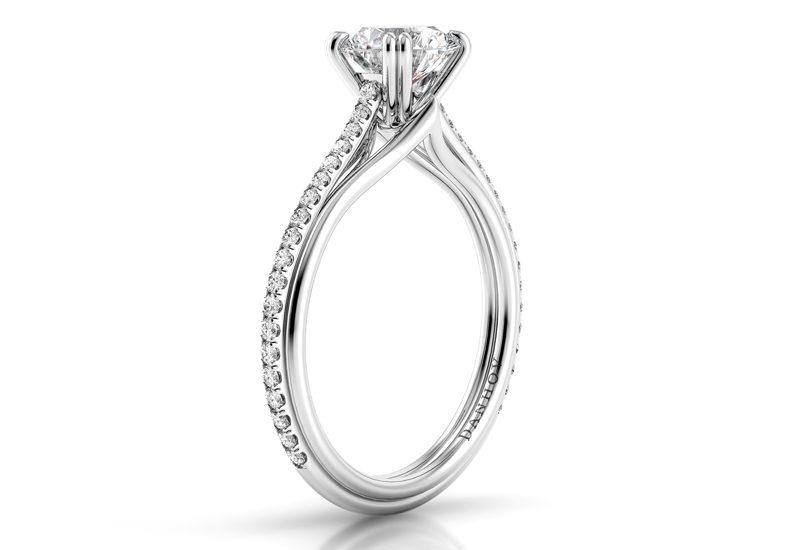 Five fresh ranges feature diamonds, pearls and precious gemstones. 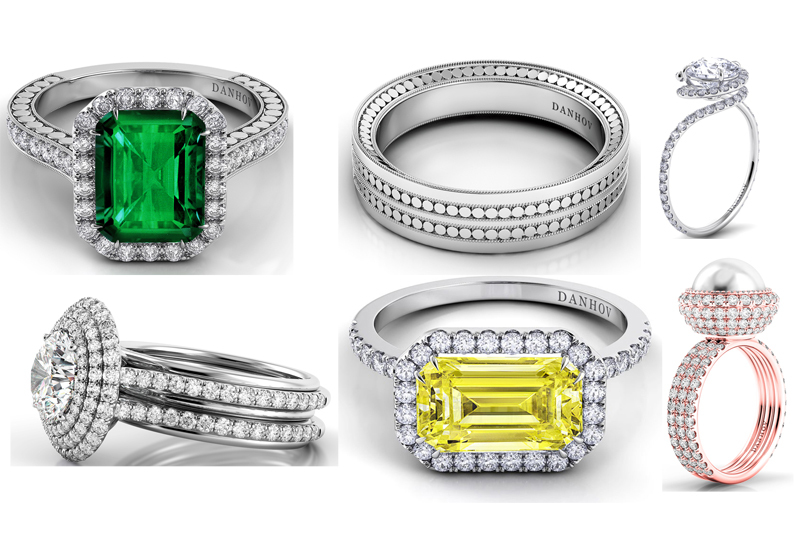 Bridal and fine jewellery brand Danhov has boosted its existing offer with five new collections, which will be presented to the UK market for the first time at International Jewellery London from August 31 to September 2. The Los Angeles-based company, which handcrafts all of its pieces in the United States, will present a collection of one-of-a-kind designs from its new Couture range, inspired by the company’s archives. Pieces include eye-catching engagement rings and statement cocktail rings with highly-decorative shanks and unusual claw settings. Also on display will be the Solo Filo or ‘just wire’ collection of engagement rings, designed to be dainty and delicate in appearance but with the same durability of more robust ranges. These two collections will sit alongside the new Unito range of engagement rings with double wire shanks, created to symbolise the togetherness of a man and wife in marriage. 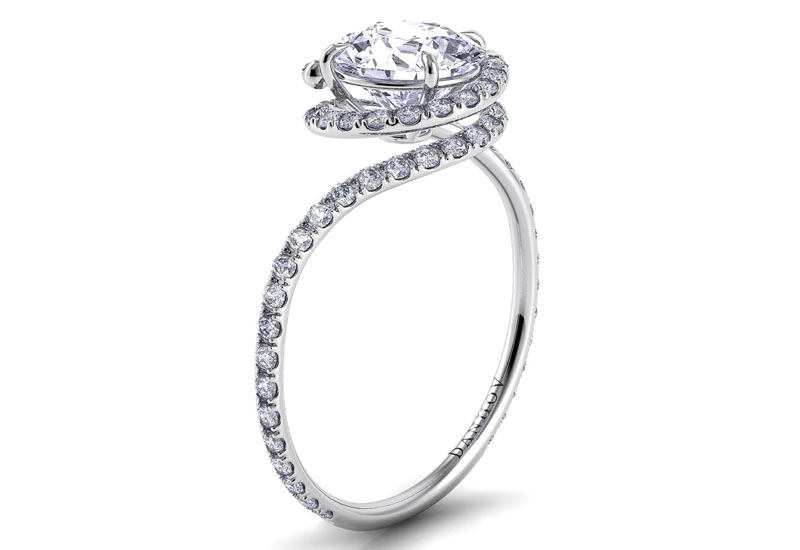 Pieces are decorated with pavé-set diamonds, which interlock to house and present a large central diamond. The Misto or ‘Mixed’ range of wedding bands is a concept collection, designed to suit brides who can’t choose between two or more styles. Misto allows brides to mix, match and stack Danhov’s most popular brands in white, rose and yellow gold. Finally, Danhov will present its commemorative Trenta collection to celebrate its 30th anniversary in the bridal jewellery industry. 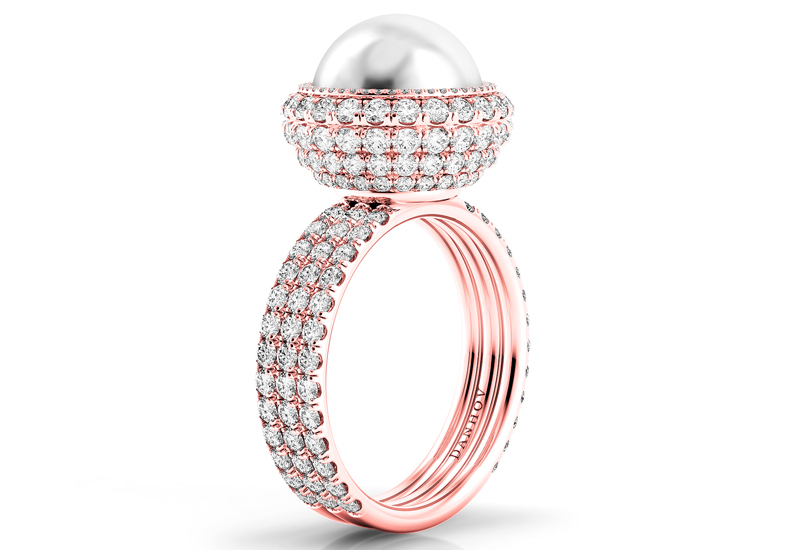 Pieces are crafted in 18ct white and rose gold and set with diamonds and pearls. Also at IJL, Danhov will showcase a selection of new styles added to its existing collections, including Abbraccio and Eleganza. Founded in 1984, Danhov continues to operate and produce all jewellery in the USA. Each ring created by Danhov is either handmade or hand-assembled, one ring at a time, by skilled jewellers in its California-based offices. 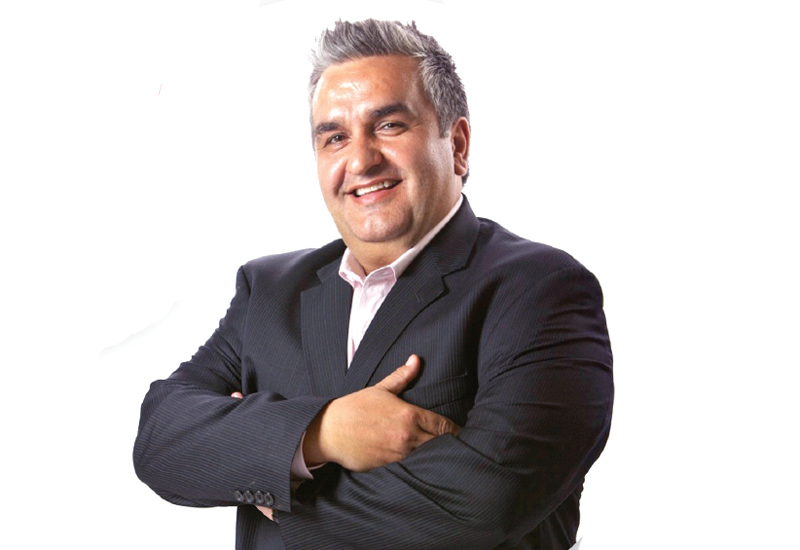 Recently Danhov has partnered with distribution company Opusliere to represent and sell its jewellery throughout the UK market.